My sweet little Daisy cuddling with me on the couch. LOL!!! When I started baby talking to her...the other two heard me and came running...they wanted in on the loving as well. I very rarely can get these girls in the same photo...so I love it when I can do that. Okay girls...there is not enough room in this bed for all of us...so who is getting off the bed? Any volunteers?? I Love my girls! They bring such joy to my life. 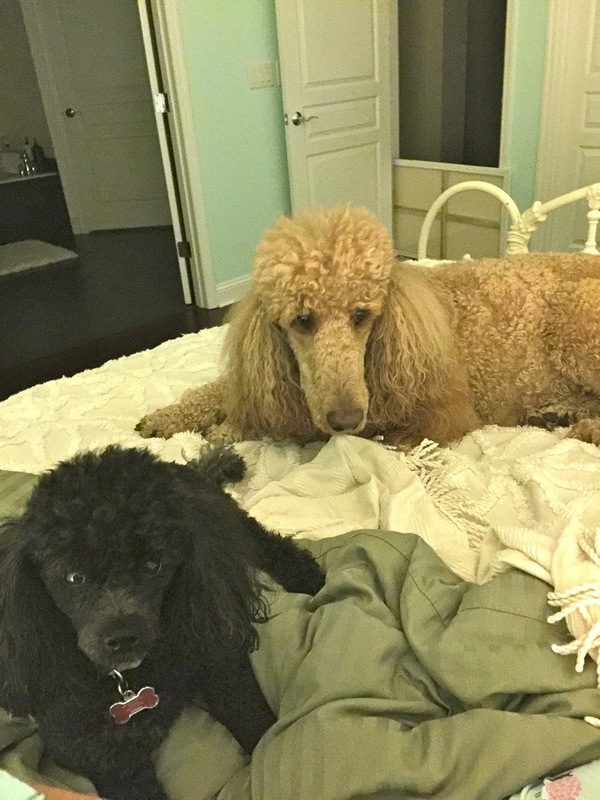 I just can't imagine a life without a few poodles in it. 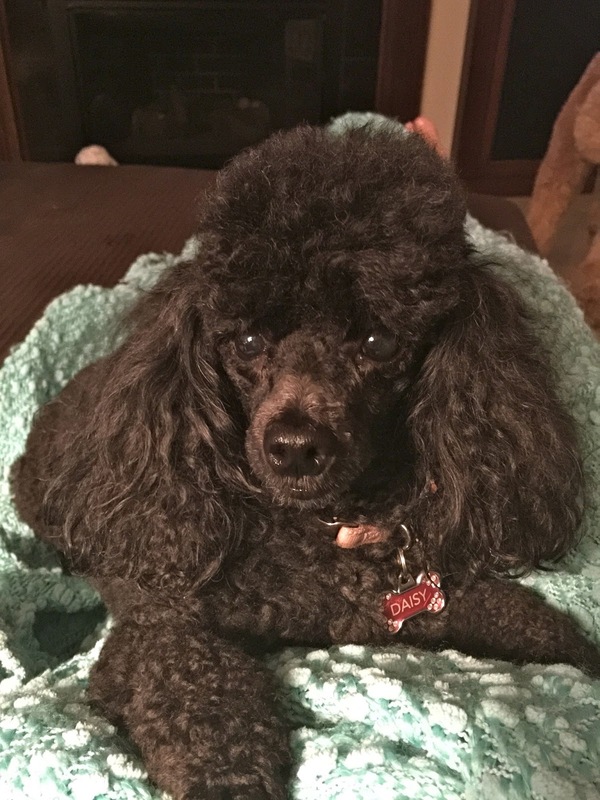 Thank for stopping by... Poodle kisses! 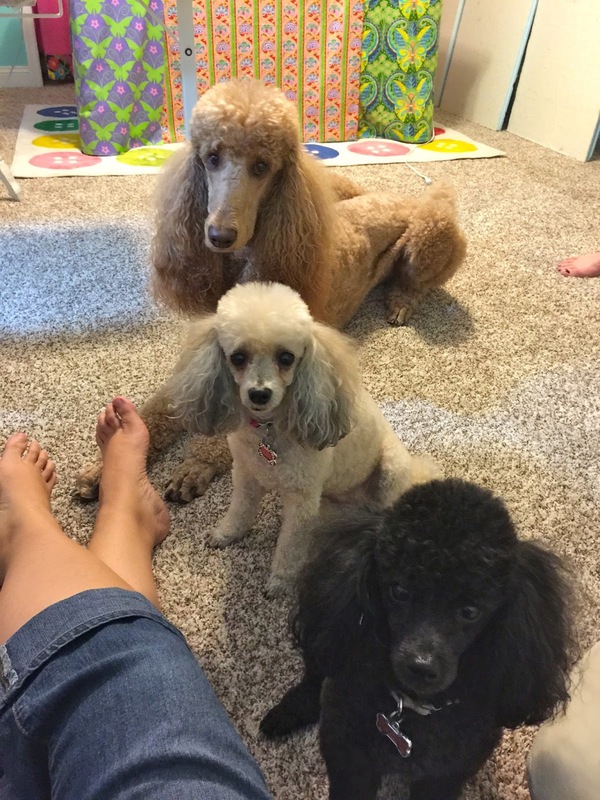 I've never had a poodle, but I do love my dogs! They are really cute together. So have you taught them to jump through hoops and over one another - you know circus acts? I taught my terriers to sit in a line together and to stand on their hind feet and twirl together. I am a poodle lover! I am searching for a chocolate toy poodle. Do you know any good breeders?